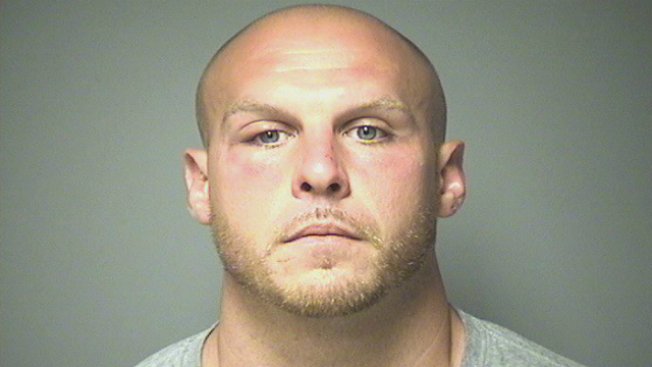 A Boston man is facing a child endangerment charge after he allegedly left a 9-year-old boy unattended while he overdosed on heroin in a Dunkin' Donuts bathroom. Christopher Morrissey, 26, is charged with endangering the welfare of a child. He was released on $2,000 personal recognizance bail and is scheduled to appear in court on Sept. 6. Police in Manchester, New Hampshire, said they were called to the Dunkin' Donuts on Candia Road around 5 p.m. on Saturday for a report of an overdose inside the bathroom. Morrissey had allegedly entered the bathroom to ingest heroin, leaving a 9-year-old boy who was with him unattended in the main dining area. The young boy alerted a staff member that Morrissey had been in the bathroom for a long period of time. Employees entered the bathroom, found Morrissey inside unconscious and called 911. Emergency personnel arrived on scene and were able to revive Morrissey using Narcan. The child was placed in the care of his grandmother, and Morrissey was taken to Elliot Hospital.